New subscribers can choose between a free Chromecast or a free two-month trial to Sling TV. 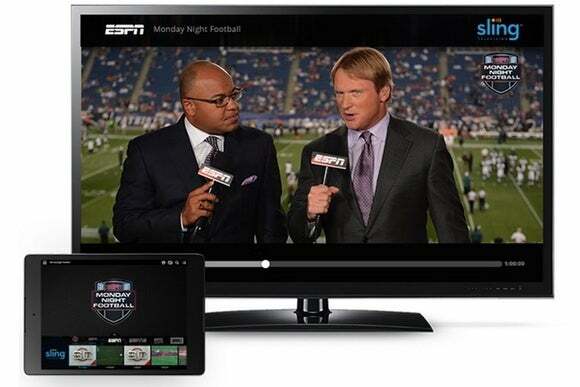 We knew Sling TV was coming to Chromecast, and now it’s here. 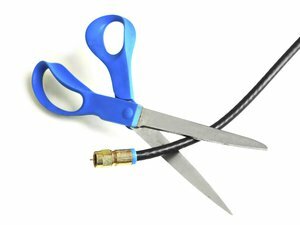 The $20-per-month service includes more than 20 live streaming cable channels, including ESPN, CNN, TBS, and The Food Network. Sling also sells a handful of add-on channel packages for $5 per month, and it offers HBO access for $15 per month. With Chromecast support, subscribers can open Sling TV’s Android or iOS app and then hit the Cast button to start watching a channel on the television. The phone or tablet screen turns out to be a pretty good remote for Sling TV, letting you swipe to glide through the channel guide, or quickly search with the on-screen keyboard. The only thing missing is the ability to Cast from the desktop Chrome browser, since Sling TV uses native PC and Mac apps instead of browser-based software. To sweeten the deal, Sling is offering a free Chromecast—that’s the new 2015 model—to anyone who prepays for three months of service. Existing Chromecast users can get two months of Sling TV for free through Google’s website. A Chromecast normally costs $35, so the hardware pays for itself either way. Sling is also still offering a free Roku Streaming Stick or 50-percent off a Roku 3 with three months of prepaid service. An offer for 50-percent off Google’s Nexus Player is available as well, but that deal’s not worth taking given that Best Buy sells the device for the same price. Android TV users will have to sit tight on Google Cast functionality, as any attempt to Cast a video brings up an error message saying the feature is “still in development.” In the meantime, Sling does offer a proper Android TV app. Why this matters: Sling TV has done an admirable job of adding support for TV devices since its launch in February. In addition to Chromecast, the service streams to Roku devices, Amazon's Fire TV, Android TV devices, and the Xbox One. Support for the new Apple TV is also on the way. With Google touting 20 million Chromecast sales to date, Sling just gave itself the chance to reach a lot more people who’ve cut the cable-TV cord.